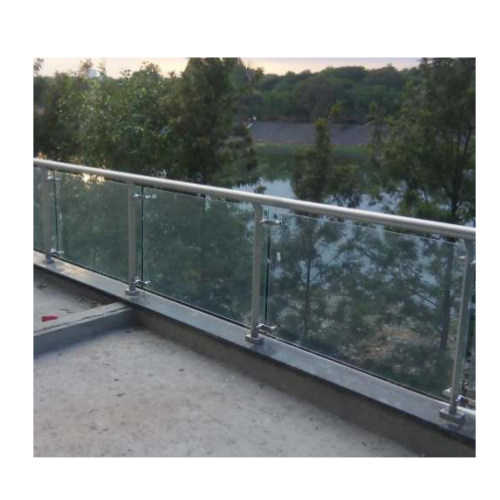 Renowned among the leading names, we are engaged in providing Flat Baluster Glass Railing System to our valued clients at very reasonable price. Incepted in the year 2011 as a Sole Proprietorship (Individual) firm, Satori Consulting is remarkable manufacturer, wholesaler and exporter of a wide range of Composite Panel, Aluminium Glass, Aluminium Partition, Aluminium Windows, Designer Door, Partition Glass, Sliding Windows, Aluminium Glazing, Window Frame and much more. The offered products are designed by our skillful professionals using optimum quality basic input, taken from most reliable vendors of the domain. The presented range is extremely applauded by our customers for their specifications such as high tensile strength, impeccable finish and durability. We offer products at market leading rates to our esteemed customers within the specified time frame.